The following is a guest blog provided by Sally Vickers, MS, CHES, and Dr. Mark Long, Ed.D., and Health Promotion and Wellness Department, Navy and Marine Corps Public Health Center. Have you ever woken up after a day of unhealthy eating feeling bloated and unhappy? The connection between food and your mood is a two-way street. Food choices influence your mood, and mood influences your food choices. That’s why it is so important to eat healthy. Nutrient-dense foods, such as 100-percent whole grains, lean protein, low-fat or fat-free dairy, fruits, and vegetables fuel your body and mind in ways that not only optimize your health and enhance your performance, but can help navigate stress and balance mood as well . Nutrients serve as the building blocks for serotonin, dopamine, and norepinephrine . Without proper nutrition, your brain cannot adequately communicate with the rest of your body, which may lead to changes in your mood . For example, processed foods may heighten the risk of developing depression . Research shows that those who maintain a diet of mostly whole foods have lower odds of developing depression . Check out the chart below to learn more about the effects that different nutrients have on your mood. Make sure to identify food sources that you can include in your daily intake to help maintain your overall health and well-being. Do you eat because you’re happy or sad? What about when you’re bored or stressed? In addition to what you eat, you need to be aware of when and why you eat. Your mood can wreak havoc with your appetite and food cravings, causing you to overeat or make poor food choices . Mindful eating is about paying attention to your hunger cues and your level of fullness. If your mood regularly affects your food choices, talk to a health care professional and check out the Navy and Marine Corps Public Health Center (NMCPHC) Health Promotion and Wellness Department’s (HPW) fact sheets on Eating with Food in Mind and the Tracker to Identify Your Food Triggers to help improve your eating habits. The relationship between food and mood is complex. Proper nutrition can help you navigate stress and stabilize your mood. However, healthy eating is not a substitute for medication prescribed to treat a psychological health concern. If you have a psychological health concern or if you have been diagnosed with a condition, seek medical advice from your health care provider. Food and Your Mood: Nutrition and Mental Health. National Center on Health, Physical Activity and Disability. http://www.nchpad.org/606/2558/Food~and~Your~Mood~~Nutrition~and~Mental~Health. Accessed June 2015. Brain Basics. National Institute of Mental Health. National Institutes of Health. U.S. Department of Health and Human Services. http://www.nimh.nih.gov/health/educational-resources/brain-basics/brain-basics.shtml. Accessed June 2015. Gomez-Pinilla F. Brain foods: the effects of nutrients of brain function. Nat Rev Neurosci. 2008;9(7):568-578. Vitamin B6. Dietary Supplement Fact Sheet. Offices of Dietary Supplements. National Institutes of Health. U.S. Department of Health and Human Services.http://ods.od.nih.gov/factsheets/VitaminB6-HealthProfessional/. Reviewed 15 September 2011. Accessed June 2015. Valizadeh M, Valizadeh N. Obsessive compulsive disorder as early manifestation of B12 deficiency. Indian J Psychol Med. 2011;33(2):203-204. Miller, A. The methylation, neurotransmitter, and antioxidant connections between folate and depression. Altern Med Rev. 2008;13(3). Beard J. Iron deficiency alters brain development and functioning. J Nutr. 2003;133(5):14685-14725. Garg N, Wansick B, Inman J. The influence of incidental affect on consumers’ food intake. J Mark. 2007;71:194-201. While talking about stress may seem intimidating, having the support of someone who has “been there” can take the stress out of finding the resources you need. That’s one of the benefits of peer support, which leverages similar experiences and collaboration between individuals to create a forum for exploring positive coping strategies. Peer support can promote wellness, healthy stress navigation, stronger social connections, and improve overall quality of life—all built upon a foundation of Trust (one of the Principles of Resilience). The unique qualities of peer support, from the level of authenticity felt when speaking with someone who can relate, to the relaxed recovery-oriented approach to providing advice and resources, make this a key avenue for seeking help for life’s challenges outside of more traditional treatment settings. Military OneSource now offers confidential peer-to-peer support for active duty service members, guardsmen, reservists (regardless of duty status), and their families. The service, accessible 24/7 by dialing the Military OneSource support line at 800-342-9647, offers callers an outlet to talk through stressors and get connected with the right resources, with the help of those who understand the stress of military life first-hand. Service members and families who seek the support of Military OneSource’s peer support consultants can expect to speak with a caring, qualified peer with personal experience navigating their own stress as a military retiree, active duty or reserve service member, or military spouse. Consultants are not medical or clinical care providers—helping to keep conversations relaxed and relatable—but do have a minimum of a master’s degree and have been trained in best practices in peer support by the Defense Centers of Excellence. They’re available to listen without judgment, provide advice if desired, and connect callers with specific resources to help them make the most out of their military life. Whether calling due to financial, family, or career-related stress, engaging peer support is a positive step toward proactively navigating challenges, promoting personal and mission readiness. Peer support services don’t just make connections or referrals to resources. They can help service members and families feel more comfortable speaking about life’s hurdles and overcome the internal and environmental barriers that can often get in the way of seeking help. Peer support also offers reciprocal benefits, providing consultants with the opportunity to grow from their own personal challenges by helping callers withstand, recover and adapt from their own—building resilience together. Using this or any of Military OneSource’s confidential support services will not negatively affect a service member’s career and information will not be shared. While not intended as a crisis line, consultants will connect callers with immediate resources if an emergency is imminent, ensuring that everyone gets the support they need when they need it most. For more information on this new service, visit Military OneSource or check out this article from Department of Defense news. To speak with a peer consultant at Military OneSource, call 1-800-342-9647. Lt. Cmdr. Amit Sood, a dietitian, offers tips for you to commit to healthier eating habits as a way of life. The New Year is well underway, but can the same be said for your health and fitness resolutions? 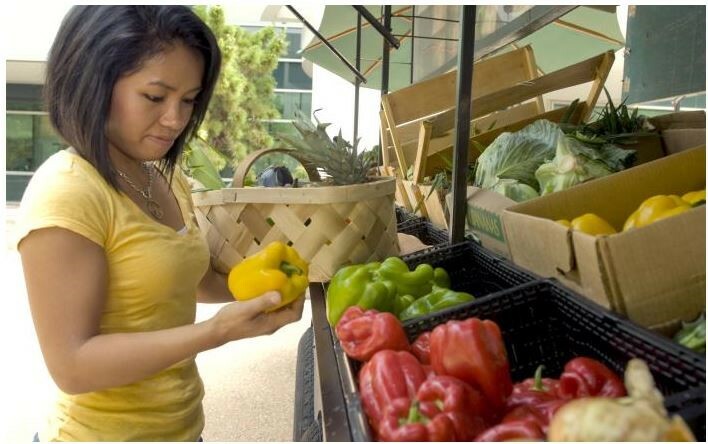 March is National Nutrition Month, and this year’s theme, ‘Bite into a Healthy Lifestyle,’ focuses on how we can improve our health on a daily basis through our eating habits. Change can, of course, be challenging, but having the right balance of resources and peer support will help you take these proactive steps to building your psychological and physical health. It is a common misconception that healthier foods lack flavor when compared to other processed choices. However, the truth is that healthy foods, such as vegetables, fruits, whole grains, beans, and legumes, have more inherent flavor than those foods that are fried, sugary, or heavily salted. To combat this innate attraction to sugar, salt, and fat, consider adding organic herbs and spices for that extra burst of flavor. The Academy of Nutrition and Dietetics Library of Recipes is one of many resources to find great-tasting options using healthy and wholesome ingredients. Making the effort to improve and maintain your health now is the #1 investment you can make for your future. It will not only help to achieve and maintain a healthy weight, but can reduce your risk of chronic disease, and increase your resilience and readiness. 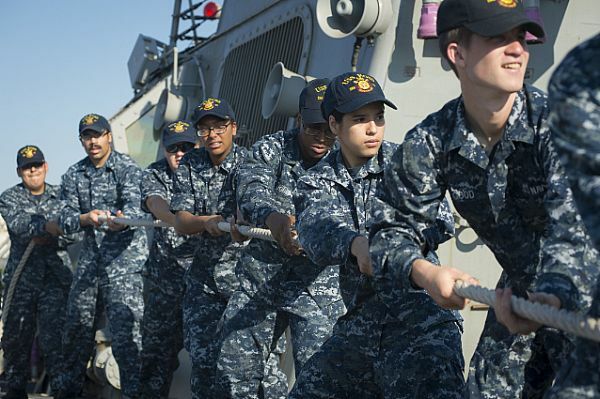 Visit the Physical Readiness Program’s Navy Nutrition Website to tap into the information you need to maintain a healthy-eating lifestyle. You’ll find helpful resources such as shopping tips, cooking in the barracks, weight loss strategies, and links to supporting websites that help meet your goals. Gather Your Numbers: This is post-holiday stop number one! Gather the most up-to-date account information about your assets and debt obligations. One way to do this is with a simple Excel spreadsheet where your column names are the name of the creditor, the total balance, minimum monthly payment and interest rates. This will help identify your net worth and create a viable budget. Create or Touch-Up the Budget: Consult with a subject matter expert or your household financial partner to construct a realistic portrayal of how you allocate income, savings, investments, expenses and debt payments. Take time to reflect on the results of this assessment and breathe a deep sigh of relief for having created a living budget. Goal & Plans: Having the previous information in hand, set realistic goals and plans to span the next 12 months and beyond. Resources such as www.powerpay.org or the Navy Electronic Financial Planning Worksheet can help you determine a payback method best suited for you, whether it’s placing your initial focus on debts with the highest interest rate or following a snowball method where you pay off debts from the smallest to largest. Conversely, if your goal is to build your savings arsenal, prioritize your emergency savings above other budgetary goals, as this is the number one stressor in personal financial planning. While three to six months’ worth of expenses and debt payments are recommended as a fairly sufficient emergency fund, a more attainable goal for many is to start with a smaller goal of at least $1,500. For a more in-depth discussion on debt reduction resources, refer to my blog from August 2014 where we discussed tips and resources to resolve your debts. Any long term goal should always reflect your current capabilities and realistic expectations for the future. If you plan to save up money for future purchases, set realistic expectations on the total amount of money needed and the timeline to accomplish. If your goals involve investing, ensure that you have first established sufficient liquid funds and have the ability to pay off any outstanding consumer debt. Monitor & Revise: It is equally important to monitor the progress you have made towards your goals. As challenges and opportunities arise, adjust your initial plans. A windfall of cash, such as tax returns, present a unique opportunity to compromise between paying off debts, saving and spending. Conversely, when the unexpected happens, such as car repairs, revisit your financial plan quickly so that any lost momentum can be regained. Credit Check: The start of each new year is an ideal time to review your personal credit report. Federal law allows each consumer to obtain their free credit report from each of the three major bureaus (Equifax, Experian and Transunion) once per year. (Remember, this report will not include your credit score, which is requested separate, and sometimes with a fee.) One strategy to monitor your credit report more than once per year is to pull your report from one of the bureaus in January, a second bureau in four months later, then the third report from the last bureau another four months later. You can go to www.annualcreditreport.com for additional details. Make 2015 the year you resolve to focus on your finances! If you need assistance from a professional, contact your nearest Fleet and Family Service Center, Command Financial Specialist or Military OneSource representative for free advice. Food Everywhere – Too Many Choices! Lt. Cmdr. Amit Sood, a dietitian, offers tips for you to enjoy the flavors of the holiday season and develop mindful eating as a way of life. Food is often the center of attention during the holidays, and trying to regain a sense of control for the New Year can be tough. Many factors influence your food choices – the food around you, hunger level, boredom, your perception of healthy versus unhealthy food, among many others. This is where ‘mindful eating’ comes into play. You may have heard this phrase, but what exactly does it mean, and what is the benefit to us? Earlier this year, we discussed mindfulness in the context of stress eating as: “experiencing and being fully aware of what your body is telling you in the present moment.” We live in a society where food is abundant and readily available, so being mindful of our body’s needs for nutrition and our food choices is key to maintain proper nutrition. You can start by creating a healthy eating environment. Am I overindulging in food choices and quantities that I do not ordinarily eat because it’s available? Do I find myself eating when I’m bored or stressed? Am I grazing on food throughout the day without taking the time to taste and enjoy it? Do I mindlessly chomp on salty or sweet snacks in front of the TV? Am I skipping meals and not paying attention to when I’m really hungry? If you answered ‘yes,’ to any of these questions, consider re-focusing your efforts to eat with the intention to nourish your body, enjoy the flavor of your food, and sustain positive energy levels throughout the day. Planning and preparing your meals ahead of time with a focus on healthy whole grains, fruits, and vegetables instead of highly salted, sugary, or fatty snacks will increase your sense of controllability and help you sustain positive food choices in your daily routines and during holiday festivities. Don’t purchase food that you are vulnerable to overeating. Keep food in designated areas that will only be accessible during set meal and snack times. Avoid grocery shopping when you are hungry. You can also visit the Navy and Marine Corps Public Health Center, Health Promotion and Wellness Department’s “Relax Relax” Toolkit for an audio presentation on Mindful Eating.